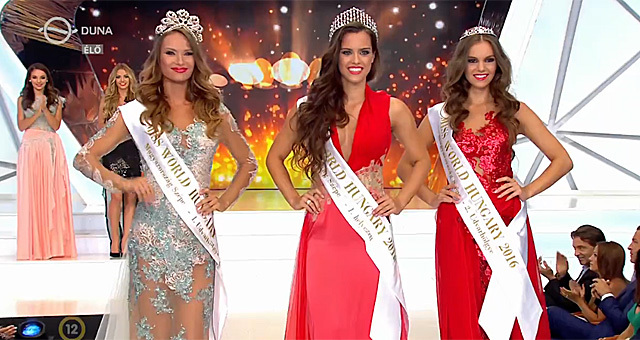 Timea Gelencser (22) was crowned Miss World Hungary 2016 this past weekend. She will represent Hungary at the 66th Miss World Pageant on December 20 in Washington DC, USA. The first runner-up was Eszter Oczella and the second runner-up was Babett Dukai. Stunning. She will do well at Miss World.